Delighted to announce Mary Black is coming back to Vicar St, one of her favourite venues on Saturday 2nd November 2019. For one night only, Mary and her all-star band, playing favourite songs from her immense catalogue spanning over 30 years - songs we know by heart, from ‘No Frontiers’ to ‘Song for Ireland’, ‘Past the Point of Rescue, Carolina Rua, Katie, A Woman’s Heart’ and many more. 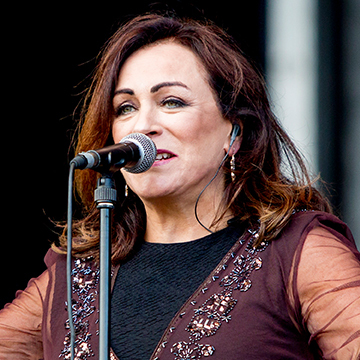 Mary Black, one of Ireland’s favourite artists, is regarded as one of the most important Irish vocalists of her generation, with multi-platinum selling albums and a string of achievement awards to her name. Mary’s enduring success has proven that her depth of talent and love of singing transcend the generations. Tickets priced €36.50 are on sale now through www.ticketmaster.ie & usual outlets nationwide.